To help prospective buyers and sellers know exactly how much a home is worth, Zillow, the online real estate company awarded a team of three, a million-dollar prize for developing an algorithm that can better predict the value of a home. After a two-year open challenge, the company awarded the coveted prize to a team of three developers from various parts of the world for developing a deep learning-based model that bested Zillow’s predictive benchmark by 13%. The winning team, Team ChanNJestimate, included data scientists and engineers Canhou Mohamed of Morocco, Jordan Meyer of the U.S., and Nima Shahbazi of Canada. 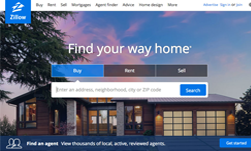 Because of the work, Zillow’s nationwide error rate will go from 4.5% to less than 4%. The competition played out in public on Kaggle, an online community owned by Google that allows data scientists and machine learners to find and publish data sets, collaborate on projects, and build models on a web-based environment. 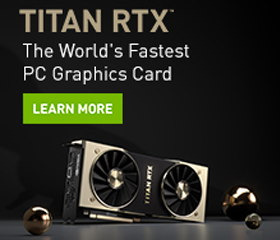 The winning team leveraged the power of NVIDIA TITAN Xp GPUs for both training and inference. For software, the team used the cuDNN-accelerated Keras, and TensorFlow deep learning frameworks. The training data came from publicly-available sources, as well as external data sources such as rental rates, commute times, home prices, road noise, and many other variables to better estimate a home’s value. Zillow says that on average the “Zestimate” is about $10,000 off of the actual amount. The new algorithms will help the price be approximately $1,300 closer to the sale price.